Our aim is to build and strengthen the local RNA community. Research is multi-faceted and requires both a breadth and depth of knowledge: communication between distinct experts is essential. The Toronto RNA Club is a forum for experts to meet, discuss and share ideas. We envision our meetings to be where Toronto’s RNA community coalesces and cultivates the next generation of RNA thought leaders. Join us in celebrating RNA research! Visit torontornaclub.com for more information. The RiboClub brings together RNA biologists aiming at promoting the study of RNA evolution, structure and function. By fostering regular meetings, exchanging ideas, and sharing infrastructure, the RiboClub creates a unique atmosphere for the recruitment and development of young researchers. Visit the Riboclub website for more information (http://main.riboclub.org/). 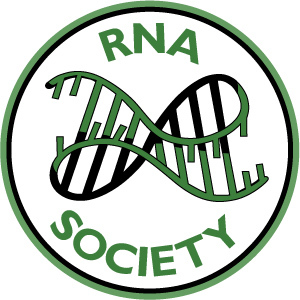 The RNA society is a non-profit, international scientific society with more than 1000 members dedicated to fostering research and education in the field of RNA science. They host a peer-reviewed scientific journal, RNA, and an annual scientific conference, along with sponsoring other RNA-related scientific conferences through direct financial support and student travel grants (we are very lucky to have them as a sponsor this year!). They are a community of scientists who are passionate about better understanding the fascinating world of RNA biology. Visit www.rnasociety.org.